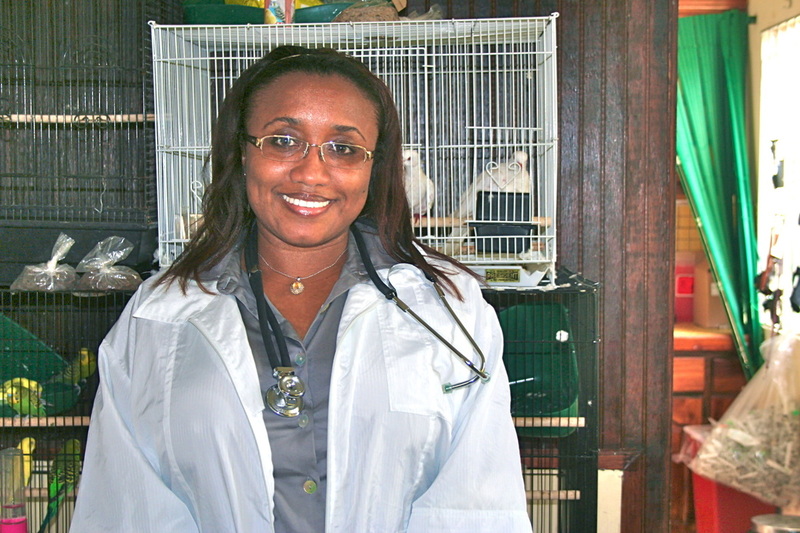 Dr. Coleen Phillips wears many hats in St. Vincent. In a given day, it is not unusual for her to be facilitating a stakeholders' talk with livestock farmers at the Ministry of Agriculture, attending a meeting at the Bureau of Standards, performing surgery on four-legged patients at her clinic in Stoney Ground, or offering insight at a VSPCA meeting. "I am a true patriot and animal lover by nature. At the tender age of four years, I was drawn to caring for our four-legged friends. Hailing from our tiny islands nation of St. Vincent and the Grenadines, a country with only the land, sea and nationals as its resources, I acknowledged my calling to make a difference in the life of our animals. The first step was to become qualified and with that, the next step is to assist in changing the culture of animal care through education of our people. In the past, as recent as 20 years ago, there were no veterinary surgeons on the island. At that time, there was only one trained veterinary technician. St Vincent and the Grenadines has long gone past such a situation, and today in actuality, we are more than equipped, boosting some 12 practicing veterinary surgeons and 18 veterinary technicians on the island. The veterinary profession in SVG is a relatively new vocation. Our major challenge, therefore, is to create the awareness of CORRECT ANIMAL CARE AND RESPONSIBLE OWNERSHIP within our people. My personal objective is to tackle the culturally oriented problem of lack of awareness in proper and correct animal care. A goal that is achievable, through education of our nationals, and provision of a quality veterinary service."